I utilise the format of the workshop as a method to gain knowledge, both collective and individual. I believe that an activation of the body within a creative / arts process will expand this process and add dimensions of learning through the body's physical movement. In the workshops I emphasise the individual participants work and development within a group process. The participants should be able to focus on themes and subject matters that they wish to explore. This process is placed within a larger group experience of common exercises and experiments. The aim is to create a safe working environment where the participants can explore new territories both as a group and individually. The creative process often engages with the unknown, that which we don't know anything about. Listening as strategy is a series of conversations on the creative process. We will meet to explore thinking, seeing and the way we speak. In the conversations we will adress the relationships between the senses. 'To listen is to have a relationship to the not-knowing, and that is exactly why we need to listen', Jonna Bornemark, philosopher. Courses in watercolour painting focussing on individual creative development whilst going through painting techniques and materials. 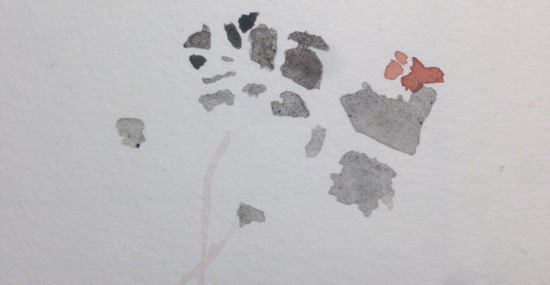 A two day drawing workshop on seeing and listening as means to develop artistic practice. Drawing excercises include searching outlines, inbetween spaces, shadows and mark making in order to observe and intensely scrutinise the inside and the outside. workshop at the Royal Institute of Art Research Week What is a Mask? in Stockholm. The Wanting Difference workshop intervention builds upon a course session with Catherine Malabou on her book Changing Difference. The Feminine and the Question of Philosophy. In Wanting Difference we are reaching for practical approaches to difference through workshops and the ideas of acting change. Following Malabou's position of talking from her specific position as a French woman philosopher we approach the subject from our positions as artists, each departing from their specific fields of interest. Organised with Anita Wernström. Using the body as the research tool we explore movement sequenced in chapters and create an inventory of the relationship to the objects in our surroundings, from pine needles to the vastness of the sky. With Siri Osterman and Jimmy Offesson. 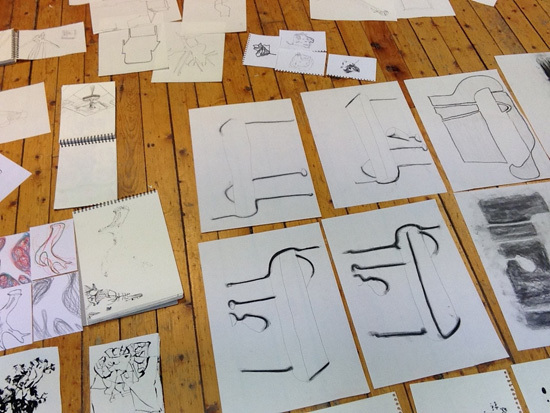 The workshops are focussed on drawing with movement and drawing derived from movement. The marks made in drawing and the moulding of the clay become dictated by the body's movement. The workshops are explorations into creative expression as a process and of how the material is made to follow the body and its movements. In the workshops that were devised for children diagnosed with language disorders we were looking at questions of how it is possible to move the body with and without music, and how the internal (bodily) feelings evoked by the movement can be expressed in drawing. Through the Body. Text and Clay. Through the Body. Text and Clay. is a four session reading group. 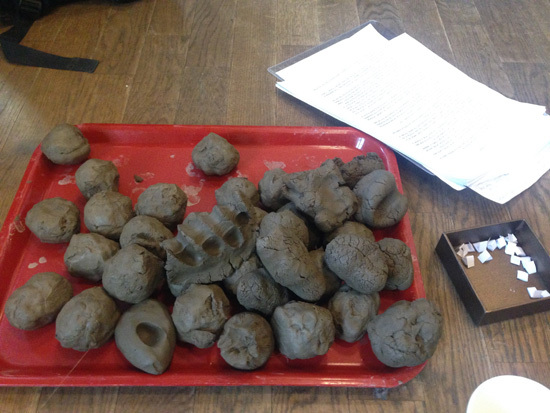 For each session the participants get a piece of clay to hold and/or knead while they listen to a reading of a fictional text. The length of the reading vary between 10 and 40 minutes and is followed by a discussion. 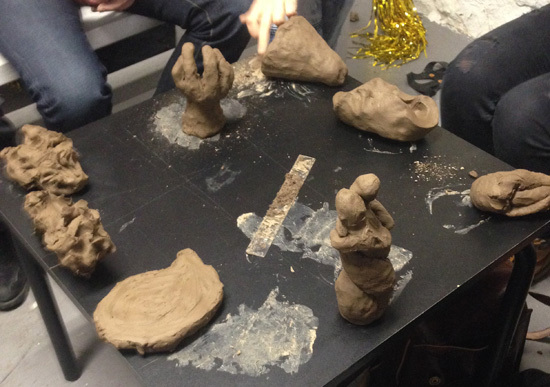 The motivation for this reading group is to explore how text moves through the body and whether listening is enforced or hindered by the the presence of the clay. The clay also creates a personal relationship to the land as it has been dug from the ground in Rinkeby, Stockholm, and prepared to be used in the reading group. A drawing workshop for six participants aged 8 years and upwards (including adults). 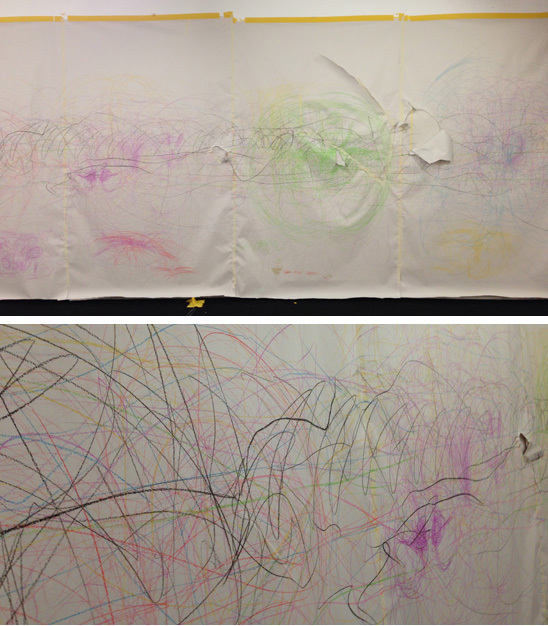 During 45 minutes we draw on a large wall and the movement of the body guide the drawing. 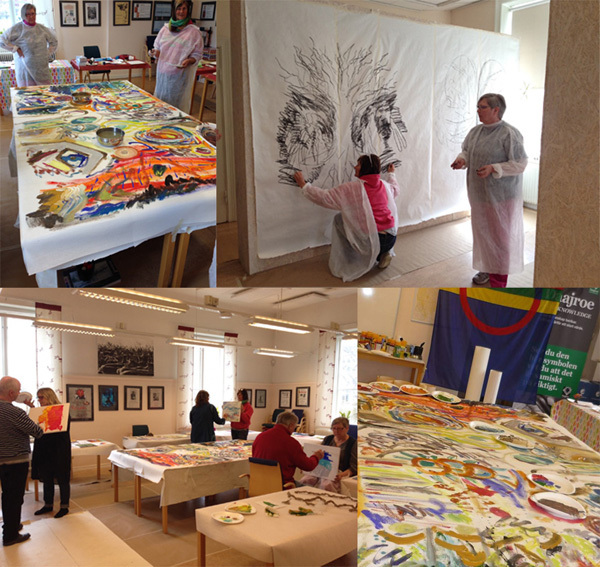 Each participant work on their own drawing but as we are all working on the same wall the result in a large commonly created art piece. Walking-Breathing is a workshop devised to explore breath as an instigator to movement. Using the act of breathing as a point of departure we explore modes of walking through tempo, step length and distances between participants. We create a collective choreography where each participant focus on their internal experience of the movement created by the group. Hosting a two day workshop in animation techniques. The workshop included making flip books, thaumatropes and smartphone stop frame animation and was part of the educational programme during the art film weekend Turtle Salon in the Project Rooms. Färgfabriken blog entry on the weekend and the workshop. A few of the stop frame animations created by workshop participants. Leading a two day workshop in visual art departing in visual recollections and physical memories. Through excercises that activates the body in relation to the process of image making the participants can be invited to use all of their senses when painting and drawing. Co-organised with Jeanette Wahl for Galleri Utopi. 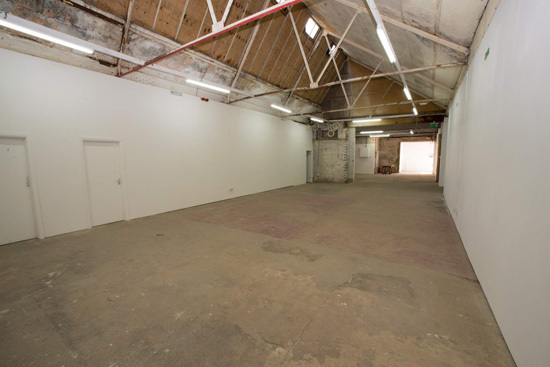 Organising a one day lab for visual artsts working in performance. The participants showed ongoing work and each presentation was followed by a moderated discussion. Co-organised with Maria Högbacke for IntraGalactic arts collective. Leading a one day workshop within the exhibition Tiden märks av färg / Time marked by colour where the group of participants explored their physical presence in the gallery space through body, objects and paint. The starting point for the workshop is a wish to explore creative processes starting in the body and its movements, and to explore how a movement based investigaition can further an artistic process. A walking session at the top of the Las Palomas mountains in Spain. The session was inspired by the painter Helmer Osslund who went on walks that lasted several months to paint the landscape of Northern Sweden. In the session that lasted a few hours we utilised the very strong sunlight and the sensory impressions of being surrounded by vast views to make internal body paintings. Balett Mekanique was a performance commissioned as a closing event of the Jamtli Museum workshop Lördagsakademien. I decided to invite the workshop participants to become part of the performance piece and during two days we worked on creating our own objects in paper combined with group exercises in space, spatiality and voice. One participant chose to show his work on a plint rather than physically participate in the piece. Working remotely with a group of middle school pupils with learning difficulties on costumes for a dance performance they were preparing for showing at the Lowry Theatre in Salford, UK. Using my art practice as a point of departure for inspiration I recorded a video lesson on ideas for costume making. 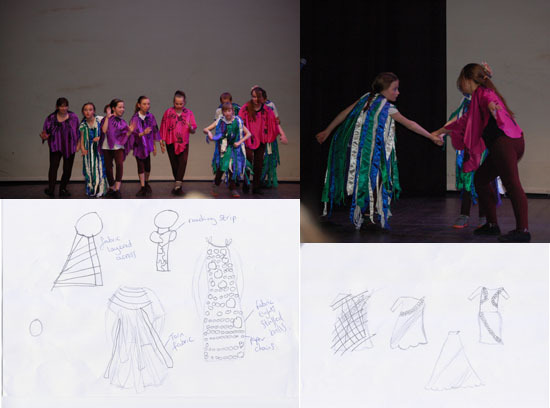 After the initial video lesson the pupils worked on their ideas and we had three skype sessions discussing the costume designs and development towards the finished costumes. With Oakwood High School, Salford, UK. Comodín Silverhammar Curates was a workshop with students from the Iceland Academy of the Arts. They were invited to become part of a performance piece devised by Anita Wernström and myself. Our curator personas Julia Comodín and Annika Silverhammar curated an evening of performance art in which the students participated with their own performance pieces. The idea was to create a situation where the students were allowed to test their ideas within a gallery context and in front of a live audience. Bränn inga Broar is the result of a two week workshop at Östersunds konstskola. The students worked independently within a group process lead by exercises in outer and inner space, through body, voice and movement. The students chose the pictorial world of the Hieronymus Bosch painting ‘Garden of Earthly Delight’ for visual inspiration. Bränn inga Broar was performed during the opening of the exhibition ‘Tänd Mörkret!’ at Jamtli Museum, Östersund.